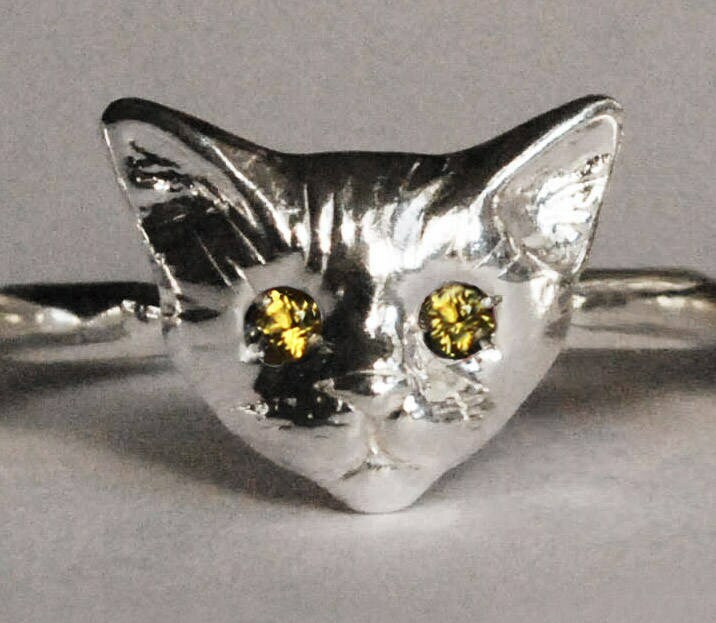 Solid Sterling Silver Kitty Cat Ring with 1.5mm natural Yellow Citrine or lab made Yellow Sapphire eyes. My item arrived much earlier than I expected and it was even more beautiful in person! 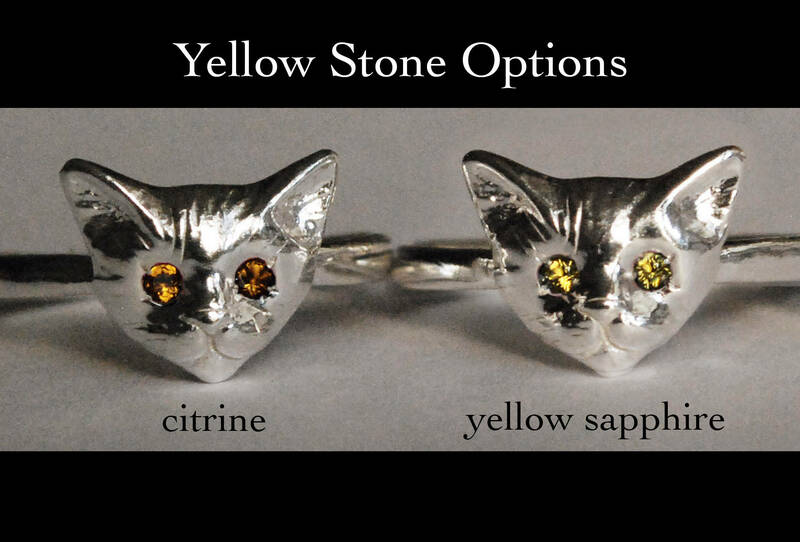 These cat rings Jennifer makes are so precious and sweet. Detailed and perfect weight and size. Always a fantastic experience with her. She is a professional, friendly, talented seller and I always look forward to seeing what she might be creating next. Thank you for the wonderful pieces you lovingly make! I love Jennifer's cat jewelry! The faces and eyes are perfection. Thank you so much! !